Calcium hardness in water can be determined with EDTA titration as described in APHA Method 3500-Ca. With this method the pH of the sample is raised by the addition of sodium hydroxide. Magnesium is largely precipitated. An indicator is used which combines with calcium only. Erichrome: During titration the color changes from red through purple to bluish purple to a pure blue with no trace of purple tint. 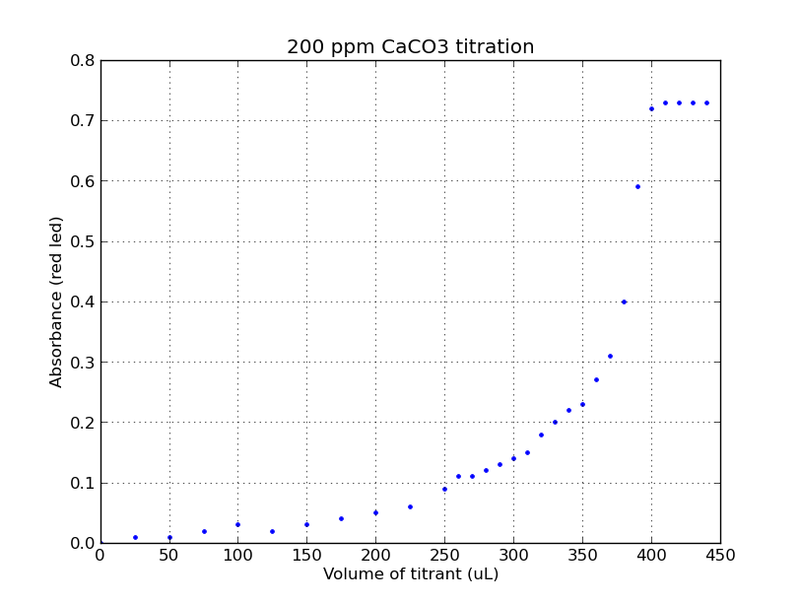 Example from a 200 ppm calcium carbonate sample shown below. Endpoint program returned an EDTA titrant volume of 398.75 uL. 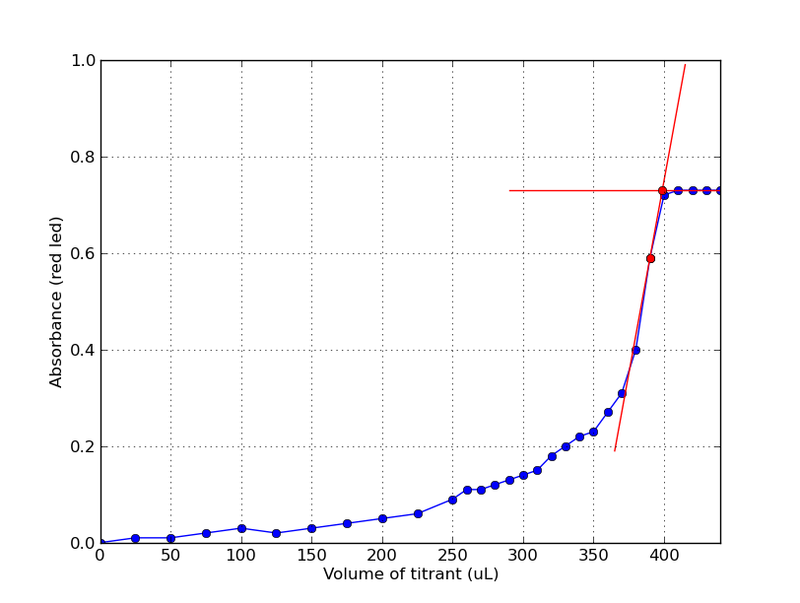 Very close to expected value of 400 uL for a 200 ppm standard.